orange you lucky! : Night Garden . . . 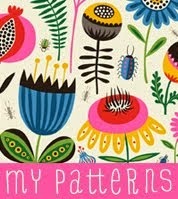 It's been a long while since I blogged patterns... Time to get back to it:). Posted by orange you lucky! Yes. Too long. I needed this today. Thanks! I want these in a fabric! Would love to show your art to the readers of our print magazine...would you? I've found some of your food related patterns while searching online. Is it possible to purchase your patterns as a fabric? Sure thing, thanks for responding. Awesome patterns. Love these floral patterns. Colorful and pretty! Hi! Love your work !! Love the colors and patterns ! Is it ink that you use or acrylic ?! Your work is stunning. Do you sell quilting fabric? Hello, Do you sell your patterns? I Want to use it for commercial purpose. 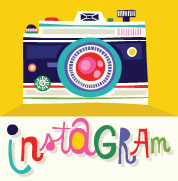 I'm an illustrator, designer and a mother of 3 little girls on the lookout for all things fun, fresh and beautiful!